You have a great idea to start your own business. You finally made a decision to follow your passion and become your own boss. You agreed with your family members and found the support from your friends. Now it is time to start, but… you have no idea where to start. The only thing you know is that you should have a business plan, but you don’t really know how to make it. This is where our ultimate guide comes: to lead you through all the steps you should take to create a successful business plan in order to establish your own business or get the necessary investments. With this guide, you will learn why you need to have a business plan, what components you should include in it, how to make it look professional, and why a business pitch shouldn’t be as detailed as your business plan. So, let’s start to put everything in place. What is a business plan, and why do you need it? What do you imagine when you think of a business plan? Most likely the first thing that pops into your head is an impressive pile of papers with lots of financial calculations wrapped in a black solid folder. A business plan is a plan for making your business work and succeed. There are no exact requirements or fixed size of a business plan: everything depends on your individual case, and you decide what should be included in it. It can be a one-page business plan or a big folder with lots of pages describing every small detail of your future business: as long as it is deliberate, size and particularity don’t really matter. Of course, there is a standard structure of a formal business plan, and we will have a look at it in detail below, but it isn’t obligatory to follow this structure if you think that your business plan doesn’t need some parts. However, this standard structure is recommended in order to create a full picture of your future business. It is also important to highlight that a business plan is a dynamic document. It can be updated anytime as there are always new ideas and changes appearing that should be included in it. If you are planning to present your business plan to potential investors, or to a bank to get a loan, you will present the snapshot of your business plan the way it is on the day of presenting it. But there is no final point for a business plan: even when you get the necessary investments and start your business, you should still have a business plan to be able to develop your business and make it successful. Many beginning entrepreneurs don’t realize the benefits of having a business plan and prefer to keep everything in their heads. And this usually becomes the first mistake they make. Unfortunately, keeping everything in your head is great but impossible. There are so many important details that should be taken into consideration that the chances to forget some of them are too high. Having a business plan means collecting all your thoughts and ideas together and structuring them, and it can be considered as the first benefit. Having a structured plan of your thoughts will free you from the fear of forgetting something important, so you will feel more safe and confident about it. Apart from that, having your business plan in a written form gives you more chances to accomplish your goals according to your plan, which is the second benefit. According to research by Dominican University in California, people who wrote down their goals accomplished significantly more than those who did not write down their goals. A business plan will help you to determine your business’s future vision, and it will be easier to set up your goals and reach them. Clarifying the direction of your business development will also help you to understand what exactly needs to be done in order to reach your goals. Another valuable benefit of having a business plan is having more chances to attract financing for your business project. Potential investors will definitely ask you to provide a financial forecast of your future business to evaluate the potential and decide whether to invest money or not. A well-prepared business plan can quickly become a financing proposal and attract investments. A business plan will also help you to attract team members and partners. When you see clearly how you will turn your idea into a successful business, you will sound convincing and inspiring to those whom you would like see as a part of your team. Would you follow a person who only has a great idea, or a person who has a great idea and a step-by-step plan to make it work? The choice is evident, unless you are a very risky person. A business plan is also a great management tool when it comes to the organizational structure of your business, including the team structure and the duties of every team member. It will also help you as a reference to ensure that your business is on the set course to the goals and milestones towards the success. Tim Berry, the well-known business plan expert and author of Lean Business Planning, distinguishes one more benefit of it: a business plan will help you to plan and manage cash flow and tie together educated guesses on sales, costs, assets, expenses, and debts. To sum up, the benefits of having a business plan are quite convincing: being able to focus on your goals and have a clear strategy will definitely help you set up a successful business. Fortunately, a business plan is not a mandatory 20-page document that is created not for the actual planning of a business, but to impress investors. There are many different types of business plans that might be suitable for various individual business cases. Let’s have a look to see what type of a business plan you should go for. The size of such a type of business plan is usually from 1 to 10 pages. It consists of only the key issues such as the business concept, financing needs, marketing plan and financial statements (cash flow, income projection and balance sheet). You don’t need to describe each of these components in details, but just highlight the main points. The miniplan suits small and simple businesses, but if you are looking for an investor, you should go for a full-length business plan. This type of business plan requires a detailed description of key components and can be used as a tool to operate your future business. The working plan is mainly created for internal use and doesn’t require some elements like product pictures, for example. It also doesn’t have to be visually presentable and impressive, as it will be used mainly as an operational tool for your business. Basically, the presentation plan might be an improved version of a working plan, with focus on its visual presentation. The presentation plan is used for presenting your business to potential investors or bankers. That’s why you should make sure that it is written using professional business vocabulary. The readers of this business plan might not know some of the terms you use, so you should have explanations for them. If a working plan is printed on a paper with stains from your morning coffee, a presentation plan should be printed on high-quality paper, and optimally in color. Every detail matters when it comes to presenting your idea when seeking investments. It should also include graphics and charts to visualize the complicated parts of your business projections. Nowadays, having a business plan in a digital format is not even necessary, but obligatory. It might be used for some group presentations using a projector, or for sending it to investors who would like to read it in detail. So it should be visually presentable and accurate with the language and numbers. Your strategy to define your goals, offer, target audience and specific features of your future business. Your tactics: the promotion of your business, social media strategy, advertising, pricing, product or service planning, etc. Concrete details: milestones and deadlines, tasks, and numbers to track to measure if the process is going the way you expect it to be. Financial numbers: forecasts, cash flow, etc. Another type of business plan that Berry mentions is a one-page business plan, or a business pitch. It is similar to a miniplan. It consists of a one-page summary with the most important highlights so a reader can quickly understand your idea and steps to make it a successful business. The one-page business plan is more suitable when you need to present a summary of your business to potential investors, partners, banks, etc. One more type of a business plan, according to Berry, is a feasibility plan. This type of business plan is normally used to describe the development of a product or technology you are planning to use. For example, if you created a pencil with an automatic sharpener, you will need to describe the steps of producing your product: from establishing a rough version to a first working product. The feasibility plan is especially useful when you decide to go for crowdfunding: Kickstarter and other similar websites will require you to present your product. Knowing about all these types of business plans, you should decide what type you should go for in your individual case. It will depend on the size of your business, the need of looking for investments or business partners, and the type of product or service you would like to work on. Nonetheless, no matter what type of business plan you will choose, it is still important to know and understand the main components of a standard business plan. As any type of a business plan has some of these components, let’s have a look at all of them in detail. The clear understanding of the basic components of a standard business plan will help you to decide on what you should include in your own business plan. Of course, every component is very important to contribute to the full picture of your business. But if you think that you should skip some of them in your case, it is absolutely your choice. Let’s see what these components consist of, and how they can contribute to the success of your business plan. A standard business plan usually starts from the executive summary after a title page. However, it is crucial to know that it is the last part of a business plan you should write after finishing all the other parts. The goal of the executive summary is to highlight the strengths of your business plan, which is why it’s better to write it after you prepare the core components to decide what exactly you would like to highlight. The executive summary should answer two major questions: what is your business idea, and why will this business idea be successful. If you are looking for investors or other financial support, this part is extremely important to grab the attention of your potential investors. The size of the executive summary is usually no longer than one page. Essential achievements that you would like to mention: they can be patents, the results of marketing research you did, the key team members that you managed to attract to join your business, etc. As mentioned above, a business plan is necessary not only for startups, but also for established businesses to be able to track their development and needs. It might also be a case when an established business is in need of additional investments. Therefore, according to the U.S. Small Business Administration, the content of the executive summary will also depend on the stage of your business: if it is an incipient stage, or an established business. In case you are starting a business, you should highlight your background and experience in the executive summary. It is essential to convince a reader that you have enough knowledge and skills to succeed. Because the executive summary will be the last part you need to write for your business plan, you will need to start the actual writing from the business description section. The business description, or the company description, is the section where you need to provide a review of the key elements of your business. The purpose of this section is to let readers quickly understand your business idea and strategy. Your business description should very clearly: who you are, what you do, and why you do it. It is always better if you have some basis for your judgments, especially when you will be talking about the problem in the market that your products or services will solve. So you should make sure that you do some research on the market and provide some reliable data: investors will definitely ask you why you think there is such a problem. You can also provide the footnotes with the sources you used, so you can skip such a question and make the right impression. It is also important to find a balance between being modest and being too self-assured and ambitious about your competitive advantages. Don’t skip the evident advantages: if you have a product that isn’t presented at the market at all, or if you’ve found a way to deliver services of a much better quality than your competitors because of the professionals that joined your team, make sure you talk about it. But don’t go too deep in praising yourself. After completing this section, it is always a good idea to read it again and cut out all the repetitive elements and unnecessary information to make it clear and to the point. There are no strict boundaries for the size of the business description: it can be a few paragraphs, or a few pages. However, you should try to keep it short, as the main purpose is to hold the attention of the reader. When the business description is ready, your next step is to prepare the industry & competition overview. You can find a lot of different names for this section: competitive analysis, industry section, and business environment analysis. Some sources prefer to divide this section into several sections: for example, Discover Business offers three different chapters: business environment analysis, industry analysis, and competitive analysis. Nevertheless, we decided to arrange it as one section, the industry & competition overview, and include all the necessary information for this part of the business plan. This section is important not only when you are seeking funding, but also for your own understanding of the market you are planning to step into. Knowing your competitors is an essential advantage if you want to succeed. It is also necessary to be able to support all of your statements with market research results and knowledge, as many entrepreneurs usually make the mistake of taking their personal opinions as facts. Yes, you can feel that there is a niche for your product at the market and nobody else produces it, but you should do research first and check all the possible similarities with your product. A list of your competitors, including their names, locations, products, prices, sales volumes, marketing strategies, etc. What is the total sales volume of the industry? What are the trends in sales volumes for the industry? What technological trends affect your industry? What are the main marketing methods? What is the impact of government regulation on the industry? How much can the industry be affected by changing consumer tastes? What is the seasonality of the industry? How much can the industry be affected by demographic trends? Answering these questions will contribute to the industry & competition overview in order to make it full and detailed. After finishing with this overview, your next step is to prepare the operations & management plan. This section describes how your business will operate in order to archive the goals you’ve set up. It includes two parts: the operations plan and the management plan, but they are usually combined into one section to make it more effective. It is important to make it as detailed as possible as this is a core feature of your business function. You can make it in the form of a chart with explanations of who does what in your business. It is crucial to write in detail what the positions in your company will be and what duties and responsibilities each position will have. Describe what type of business you are running or planning to run: corporation, partnership, sole proprietary, etc. professional background: education, working experience, outstanding previous achievements in the industry. When naming the achievements, don’t be shy to say what your key team members are really great at: for example, they managed a department of 100 people, or increased the sales of the company three times in a short period of time, etc. If you have an advisory board, provide the information about who the directors are, what their background is, and why exactly these people are on the board. The size of this section will truly depend on the complexity of your company. If you have only two people in your team, it is obvious that you won’t have a lot to write. But if you are planning to hire at least one hundred people, you should choose only key members to show their profiles. Remember that readers won’t have so much free time to read the backgrounds of one hundred people, so you should value your and their time as well. The product or service description will be concentrated around your idea: here you can provide all the information about your product or service, highlighting the benefits and innovative features of it. Information about your product/service. Describe your product/service, its advantages and the abilities to meet customer’s needs. Provide enough details to understand why your product/service will be competitive in the market. Define the process of how your product will be produced. If you are planning on selling services not products, you should describe the process of how your service will be delivered to the client and its stages. Intellectual property & legal requirements. If you have an innovative product or service, you might need to get copyrights, patents or trademarks for it. Provide the information if you need it, and what the stage of these documents is. Many businesses also use non-disclosure agreements to keep some secrets within only team members, so if you are planning to go for it, list what you would like to keep as your trade secrets. Research & Development activities (R&D). Let your readers know if you would like to have R&D activities. They are necessary for the improvement of your current products/services and the development of new ones. R&D activities are a must for very challenging industries that depend a lot on trends. Development budget. Describe the budget you will need to produce your product. Make sure you include the following costs: material, sample costs, direct labor, equipment, other expenses (transport, phone, etc. ), professional services (consultations with lawyers, accountants, etc. ), marketing materials, and any other costs. What stage is your product or service at? Do they already exist, or are they still in the process of development? How long will it take to bring your product or service to the market? What are the advantages of your product or service in comparison with your competitors? Are there any disadvantages that you need to improve? Will the price of the product or service be low enough to allow for a profit margin? How will you produce your product? Will you be the manufacturer, or will you have a supplier? The main goal of this section is to make the reader understand the nature of your product or service. Therefore, there is no need to use technical or specific words that the readers may not know. Try to use simple language to make it clear, especially if your product or service is innovative. After completing the product description, you will move on to the marketing strategy section. The marketing strategy is the engine of your sales machine. However, there is no exact way you should work to create it: everything will depend on your product/service, your goals and plans, and other individual factors. But of course, there is some guidance for the strategy and tactics that might be helpful for you. It will require preliminary research, so you will be able to define the target market: its size, structure, trends, growth opportunities, and sales capability. Determining your target market might be built on different factors: geographical, product-oriented, payable, etc. This part will show how you are planning to place your company and your product in the market, meaning how you want your customers and competitors to perceive it. What advantages does your product/service have that your competitors don’t? Answering these questions based on your research will help you to formulate the position of your company you want to have in the market. The pricing strategy is extremely important for the financial well-being of your business. The prices for your products or services must be competitive as well: there is no point in making the price higher than your competitors if there aren’t a lot of differences between them. Of course, it might seem very complicated to understand what price you should put for your product, especially when you are doing it for the first time. Many entrepreneurs are afraid to make it too cheap or too expensive, and can’t find the right balance in between. choose the right pricing technique: cost-plus pricing, value-based pricing, etc. keep an eye on the market constantly: your costs and the prices of your competitors will change over time, so you should always be aware of these factors to adjust your price. You should also describe how you are planning to deliver your product to customers. The most common way to do so is to analyze your competitor’s channels, noticing their advantages and disadvantages. Then you should decide whether you would like to go for the same type of channels, or look for other ways to make it more effective and beneficial. Direct sales: to sell directly to customers. Direct sales might be implemented by Internet, catalogue, or a sales team. Wholesaler/Distributor: this channel works by you selling your products to a middle person, or wholesaler, and he/she will distribute your product by their channels to reach customers. Value-Added Reseller (VAR): you will sell your product to a company (VAR) that will bundle up your product with other products or services and resell it. This company will add value to your product, which is why it is called a value-added reseller. Manufacturer’s representatives/Sales managers: you as a manufacturer can find salespeople or sales agencies that will sell your products to wholesale and retail customers. Promoting your product or service is the crucial component of reaching and communicating with your target audience and selling it. Advertising. You should choose what exact ways of advertising you will go for. It might be traditional advertising like ads in newspapers, TV or radio commercials, as well as digital advertising and offline activities. Social media strategy. Social media is an important communication tool, and a great chance for small businesses to get noticed. If you are new to social media, our free ebook will guide you through all the steps you should take in order to build an effective social media strategy for your small business. Public relations. You should think of attracting the attention of media and do research on the events you could participate in to present to your company. Sales promotions. List all the sales activities you are planning to have: discounts, coupons, contests, etc. You can add the approximate dates of sales promotions if you have already planned some. This is the first financial projection you should make before going to the financial projections section. It is necessary to evaluate the sales potential of your product or services based on the market research you did. In order to do so, you will need to create a revenue model. This includes three major elements: “T” – the total number of customers, “A” – the average revenue per customer, and “S” – the sales projection. So if you multiply T by A, you will get S – your sales potential. This is a very simple description of the revenue model; however, it includes a lot of other factors apart from the number of customers and the average revenue. But you can prepare it in detail in your next section on financial projections. The financial projections section is the most scrupulous section of a business plan. It will be mindfully read by your potential investors, which is why you should put a lot of effort and attention into it. Despite the fact that it seems to require a lot of deep financial knowledge, you can definitely prepare this section at a high level. Moreover, there is nothing bad in asking a person with accounting skills or startup experience for some help with it. There are also a lot of companies who can assist you with the preparation of financial projections. Don’t take financial projections as the section needed to impress your readers; its main goal is to help you estimate the amount of money your business needs and its potential profitability. This section provides your vision on how profitable your business will be, how much investment it is requesting, and how much time it will take you to pay back your investors. The income statement can also be called a Profit & Loss statement (P&L) or earning statement. It mainly shows if you are making money or not. In order to prepare the income statement, you’ll need the financial data of your business activity for some period of time that you can determine by yourself. The very basic idea of the income statement is to calculate the profit by subtracting expenses from revenue. For this, you should calculate first your expenses and revenue. Your expenses will include operating expenses, non-operating expenses, and losses. Your revenue will consist of operating revenue, non-operating revenue, and gains on long-term assets. If you are just starting up your business and don’t have any financial data at the moment, you can try to look for some statistics of similar businesses in your industry. You can definitely find some general data that you can use for the income statement projections. If you are planning to sell microwaves, for example, then the percentage of annual sales of microwaves within the industry might be your starting point. Of course, it won’t give you specific numbers, but that’s why this section is called projections: you are projecting your business finances, not delivering the exact financial data to analyze. You can prepare this statement manually in Excel, or download our free P&L statement template to save your time. The balance sheet shows the value of your business based on three main indicators: assets (what your business owns), liabilities (what your business owes), and equity (a net worth). To calculate your company’s assets, you need to add liabilities to equity. This means that your assets should be equal to your liabilities and equity. Your company’s assets will include fixed assets, investments, current assets, loans, and miscellaneous expenditures. The liabilities consist of share capital, reserves, loans and current liabilities. In order to prepare the balance sheet, you can simply download our free balance sheet template. The cash flow statement shows the flow of cash for some period of time along with the amount of cash you have on hand at the moment of creating this statement. It consists of two parts: sources of funds and uses of funds. The first part, sources of funds, will show the amount of cash flowing in and out of the company balance. The second part, uses of funds, will show exactly how the cash was spent. To create your cash flow statement, you can download our free cash flow template and fill in your numbers. Considering the fourth part of the financial projections sections, i.e. other financial information, it will be necessary depending on each individual case. Some investors might ask you to prepare additional forecasts, for example, your personal finance statement in case you are planning to provide your personal loan to the company. 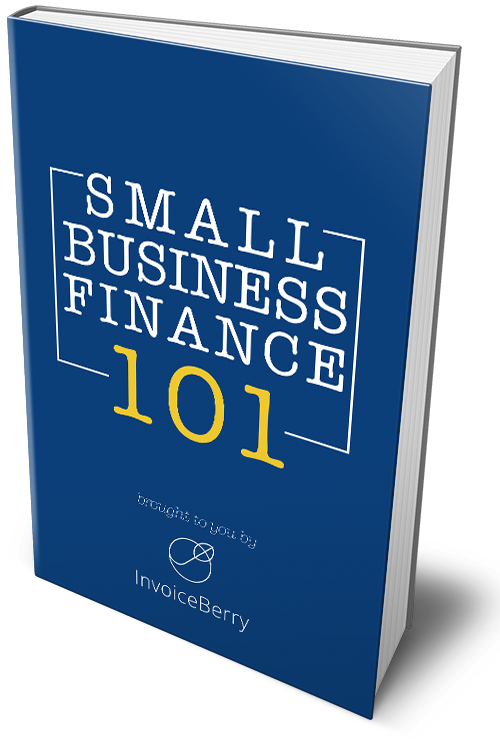 Despite the fact that the financial projections section is the last one in your business plan (apart from the appendix with additional materials if needed), it is a truly important part when seeking funding. Therefore, you should make sure you prepare it very carefully and in detail. The right calculations and the detailed description of how you are planning to deal with the finances of your business are key to attracting investors or getting a bank loan. These are the main components of a standard business plan that you can decide to include in your own business plan. Many small businesses and startups choose not to go for this traditional business plan model just because of the size of the business and its necessities. However, if you are planning to start a medium-sized company, you should consider preparing as much information as possible. When you know what the content of your business plan should be and how to prepare it, it is time to cover the important questions that you definitely still have. One of them is the size of the business plan. Are there any perfect dimensions for it? And how can you find the right balance so you don’t overdo it? Another question concerns the visual part of the business: how should it look? Is it possible to show your individuality? Or is it better to stay neutral and follow the general black and white format? Let’s look for the answers in this section. It is very normal to be worried about the size of a business plan because no one wants to look unprepared or too prepared. This is especially true when you are seeking investments because you want to make the right impression. So, is there any perfect size for a business plan? As business plan expert Tim Berry mentions, it is not good to measure length by page count. It should be measured by readability and summarization. 20 pages of plain text or 40 pages of text illustrated with charts and with bullet points to make it easier to read and understand can show that it all depends on the way you present your business plan. Readability is extremely important, especially when it comes to complicated information like financial forecasts. Formatting your document can make a huge difference no matter what the size of your business plan is and leave a better impression about you and your idea. Therefore, don’t think about the amount of pages when you create your business plan: write everything you think is important to mention, and then think how you could format your text to make it more readable. Numbers are always better for understanding when they are presented in the format of tables or charts. Some complicated explanations will be easier to follow in the form of infographics. Summaries are also very helpful for understanding complicated texts. Write a few sentences at the end of each section to highlight the most important information. It will also help highlight the general idea in case a reader will look briefly through your business plan. What is the perfect size of a business plan? The size of your business plan will also depend on the size of the business you are planning to start or already have. For example, the standard size of a startup business plan is usually around 20-40 pages. Large companies or corporations can prepare internal business plans of up to 100 pages or more. Of course, you can find very detailed requirements for business plans with the exact amount of pages each component should be. However, we would like to repeat that it is only your choice to decide what the size of your business plan should be. As long as your business plan looks complete and provides all the information you would like to include, that is the perfect size. Finding the right balance is very difficult, so you should try to not repeat the most common business plan mistakes to get it done right. The question about the visual presentation of a business plan might be concerning as well, especially when it comes to startups and businesses from the creative industry. That’s why the answer will be quite contradictory: it depends. There are a lot of factors that are important to take into consideration when you are working on the visual part of your business plan. It is important to notice that we are talking about the written and printed presentation of your business plan, not the presentation you will do for your business pitch (which we will talk about later). For example, a bank can ask you to give them your business plan to see it and be prepared before your business plan presentation itself. So you will provide them a printed version of your business plan. In general, many businesses and startups should go for a formal layout. It might be difficult to predict what type of person will read your business plan and if he or she feels positive about creative approaches and innovations. So it is better to not risk it and be taken as a careless or not serious entrepreneur. Our free business plan templates might be a good choice if you would like to make a serious and well-prepared impression. You should also revise the charts and illustrations you prepared for your business plan to make sure they are relevant. If you don’t really know how to make them by yourself, you should consider hiring a professional graphic designer or asking your friend with design skills for some help. If you represent the creative community, and your startup is connected to the creative industry (graphic design agency, new fashion line, online magazine, etc. ), you can use your business plan to show off your creative vision. However, try to keep the balance and stay serious with it. For example, you can add some graphic details and use an interesting font, but don’t go for drawings on each page to show how creative you are. It is always a good idea to stay serious and professional in what you do. Of course, it is possible to do something really innovative with your business plan. For example, there is a business plan made in Pinterest. It is obviously a very informal way of presenting a business plan, but if you think it can suit your situation, then why not try it as well? Terence Channon, the Managing Director of the Saltmines Group which helps early stage projects with technical support, offers businesses to create a compelling video showing their product, customer acquisition results and team instead of a standard business plan, saying that it is a way better to show your product in action than just screenshots or stock images. When your business plan is ready, it is time to present it to your potential investors or partners. This process of presenting your business plan is called a business pitch. It might happen in person as well as by email or by other means of communication. If you are looking for financial support, check how you should prepare for your business pitch and what you should include in it. A business pitch and a business plan are not the same thing. Your business plan is the overview of your future or existing business. Your business pitch is the presentation of your business plan to investors. It is crucial to understand that the content of these two things may differ. However, the content of a business pitch is quite similar to your business description. The problem your product/service will solve. There must be a problem that your product or service will be made to solve, otherwise investors might take it as an unnecessary investment. For example, there is a lack of coffee shops in your local area, or all the apps for counting steps can’t deliver accurate data. The solution to this problem. Describe how your product or service will solve the problem you’ve mentioned in the beginning. Your target market. Describe your potential customers realistically, without exaggerations. The more specific you are, the more realistic your sales potential will be. After your business plan preparation you will have the necessary data based on the research you did, so you can use some numbers to prove your words. Your competitors. Present briefly what your competitors offer, highlighting their disadvantages and how you can turn them into your advantages. You should present the reasonable points of why a customer will buy your product instead of theirs. Your key team members. Highlight the achievements of your team members and what they can bring to your project. Overview of your financial projections. Describe briefly your financial forecasts, but don’t go too much into the details – investors can read your business plan to see more information or ask you direct questions if needed. It is more important to describe how your business will operate financially: how you see your income, how much your expenses will be, etc. Your specific goals. Make your business project more specific by providing the information about your milestones. Talk about the steps you have already made and what your next steps are. Prepare your business pitch speech in advance and practice by presenting it to the mirror or your family members to feel confident about what you say. It will be helpful when presenting your business idea to your potential investors or partners. Visualization of your words: should you use a slide show? When you are going to pitch your business idea, you might think of adding a slide show to visualize your words and make it more memorable for your listeners. Having a slide show is a traditional part of a business plan presentation, and many investors expect it to be included when you present your business idea. Therefore we recommend you have one to highlight your professionalism and serious attitude to your project. Moreover, it will help your listeners to understand the information you share in a more comprehensive way. These 4 tips will make your slide show an essential part of your business pitch. Of course, you can prepare your presentation in PowerPoint going by this traditional way. Furthermore, it has a lot of different features to make great presentations you might not know about. You can also get our free presentation template for your pitch. But why not add some innovative features to your presentation? For example, Prezi is a great trendy tool for effective presentations. It has a lot of different templates, so you can choose one or customize it and make it very individual. But don’t go too much into the artistic side: make it look impressive, serious and high quality. There is no need to visualize every word: try to make it as informative and reasonable as possible. 10 slides would definitely be enough. Remember that visual presentation is here to make your business pitch more interesting, not boring. You shouldn’t write down every word you are planning to say. It is better to add text that might be difficult to understand when listening to it, such as names, numbers, etc. You can also add summaries of your points to make them stronger. You should finish your business pitch with the major point: what you expect from them, so you can immediately start the discussions with your potential investors. By following these tips your slide show will become a great addition to your business pitch. We hope this guide was helpful and gave you a clear idea what to do in order to turn your idea into a successful business.